Lenovo is gaining momentum in the smartphone market with the devices it is releasing in regular intervals and them being competitive with other smartphone makers like Xiaomi and Asus which are also releasing such devices. The smartphone or phablet which we are talking about is the Lenovo K80 which is the second smatphone to comes with a 4GB RAM after Asus had released their flagship device Asus Zenfone 2. The K80 was announced yesterday in China which comes with 4GB RAM and 64-bit processor and also comes with a 4000 mAh battery which make it a very strong contender for being the best smartphone or phablet in the market and genuine flagship killer. Coming to the features of Lenovo K80 it comes with a 5.5 inch IPS LCD display which is Full HD in resolution 1920×1080 pixels resolution. The device is powered by a 64-bit Intel Atom Quad-core processor at 1.8GHz per core. The processor is mostly supposed to be Intel Z3560 which has to be announced officially. The processor is supported by a 4GB of RAM and imagination’s PowerVR GPU. It comes with 64GB of internal Storage as well. The Lenovo K80 comes with 13MP Primary or rear camera which comes with OIS (Optical Image Stabilization) sensor and the front camera is a 5MP shooter. Another powerful feature of the device is the 4000mAh battery the details of which are yet to be announced and this battery is adjusted into the 8.5mm thin body. 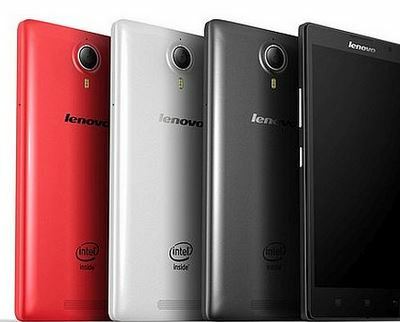 The Lenovo K80 comes in three colors Black, Silver and Red. There are two different variants as well to choose from much like the Asus Zenfone 2. The more powerful variant comes with 4GB of RAM and 64GB internal memory which is priced at CNY 1799 which comes around (US $290) and the second model is the 2GB RAM version with 32GB internal memory which is priced at CNY 1499 which comes around (US$240). The availability of the device starts from April 30th in China and the availability in Rest of the World is not yet known, we will be updating it as soon as it is announced.